It's time to try face detection since done lot of object detection. At this post, I will try VGG Face Descriptor, test the pre-trained model result, then see what we can do in next phase. As usual, OpenCv Dnn is our model test good friend. This test will be very simple and short, let see the code. Load image, setup model, input image and forward it. Convert result from [1,2622] array to a dictionary with index for later use. Print out top 3 close result, and draw top 1 result to image. 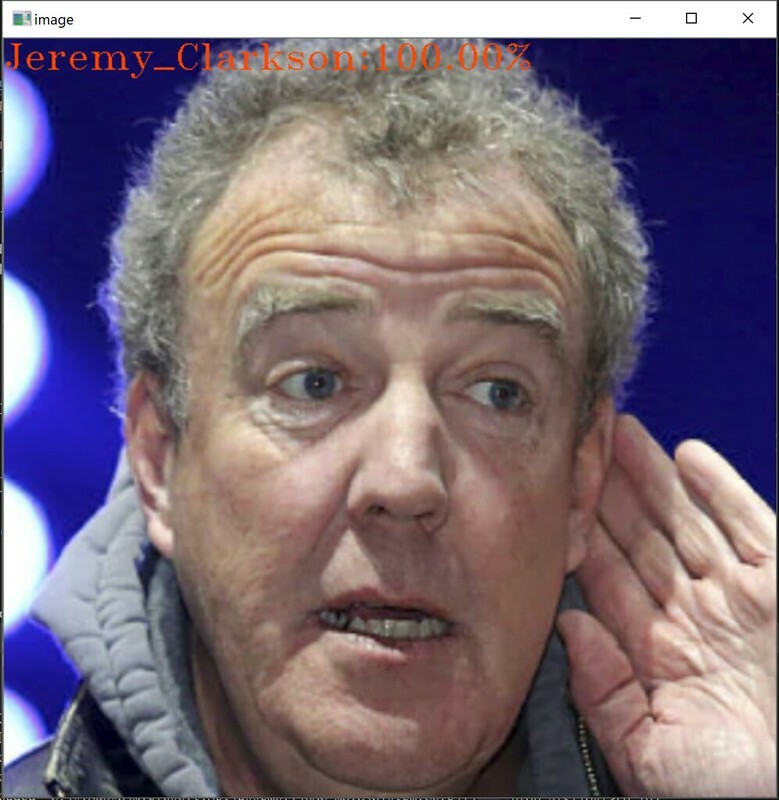 Now we can put in some pictures to test it, I am a big fan of Top Gear,and The Grand Tour season 2 just start at Dec 8, so I choose using The Holy Trinity from the show to test. Jeremy Clarkon : Correct Answer, but 61% confidence not high enough. 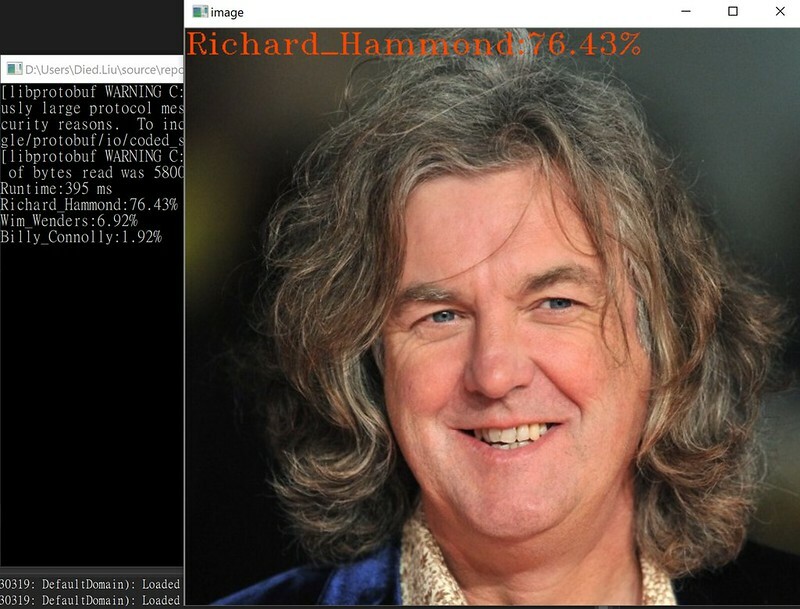 James May : Wrong Answer, sadly James May is not one of 2622 pre-trained faces, so we can't get the correct answer, but coincidentally the system thought he is Richard Hammond lol. 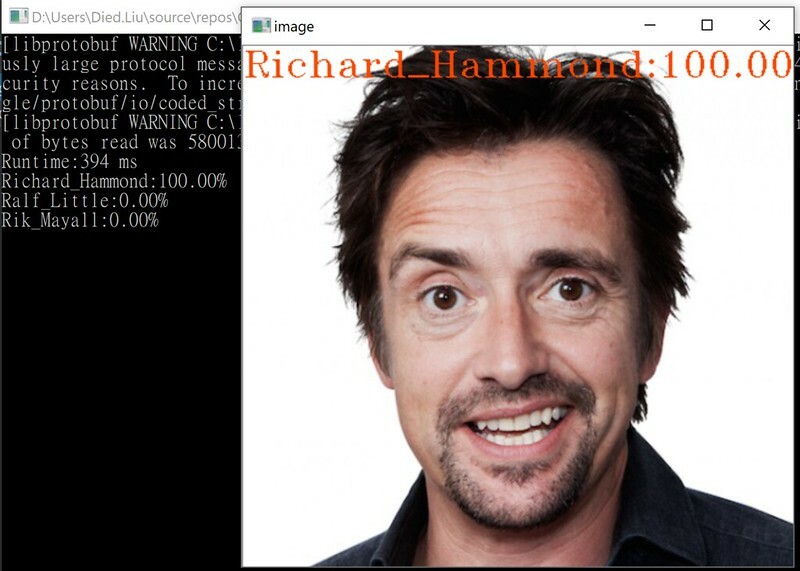 Richard Hammond : Correct Answer, with 100% confidence!! Since James May didn't include in the pre-trained model, So I decide find one more people to test. 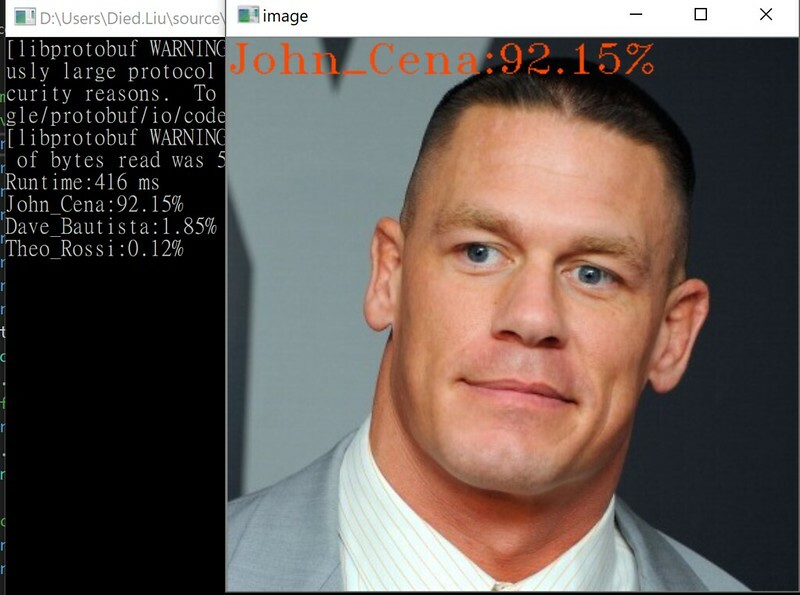 John Cena : Correct Answer, with very high confidence. 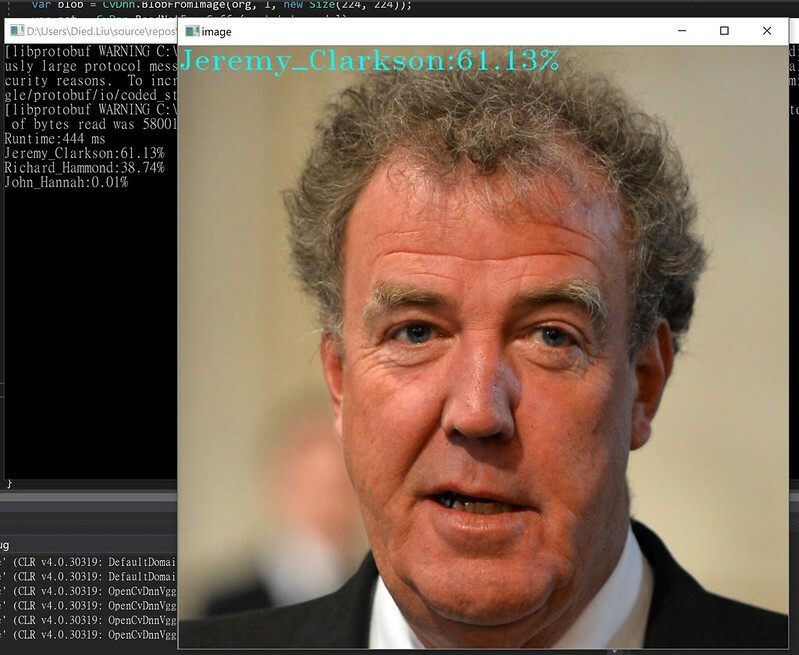 Overall, OGG Face seems is a good model for detect face, next phase I will implement face crop feature, so we can detect multi face in one picture.